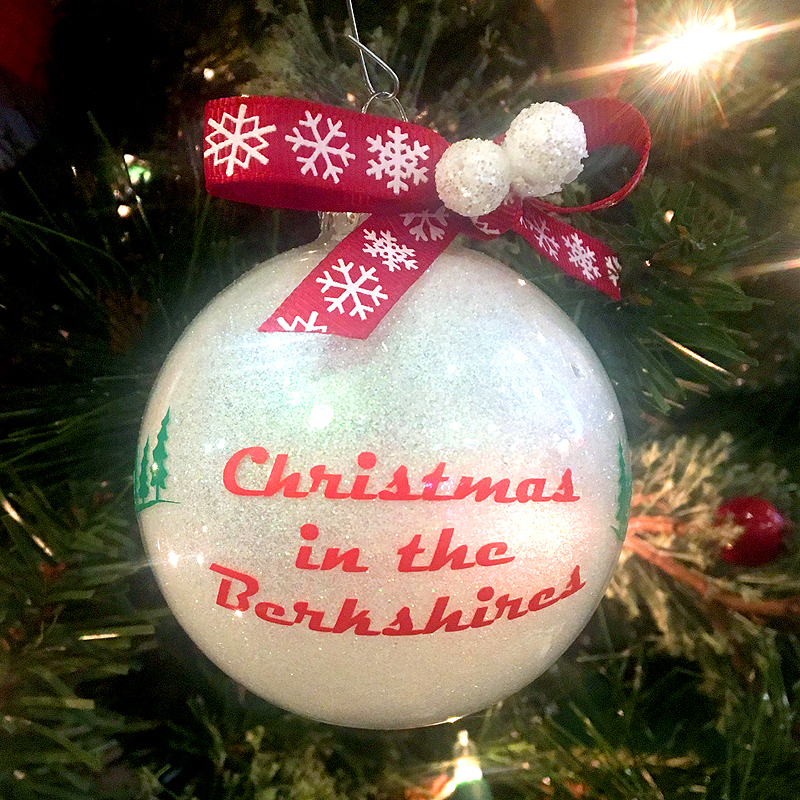 Share the gift of the Berkshires this Christmas, home to the Norman Rockwell Museum! Perfect gift to commemorate a weekend getaway or a new home. Glitter filled glass ball ornament measures 3" hanging hardware not included. Locally made!